Treatments can start at $49.00 and all pricing is based on tattoo size. 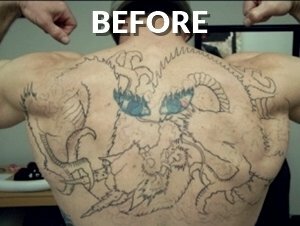 Wondering if tattoo removal will fit in your budget? Redo, replace, repair or regret. We have you covered. 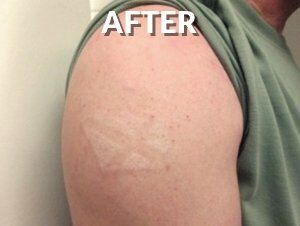 There are many reasons to have laser tattoo removal. At Inkundū we understand. 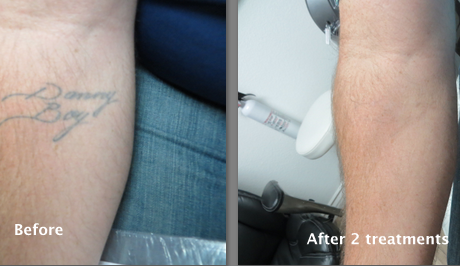 While no tattoo removal facility can guarantee a perfect result, being treated with the best technology to achieve a superior result at the right price should be expected. We expect that too. 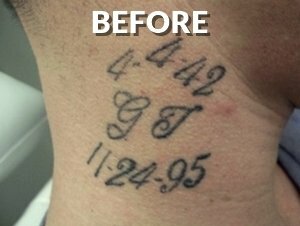 We are the most experienced in Lexington at using the new Quanta Q Plus C Laser, the gold standard for producing excellent laser tattoo removal outcomes. Three true laser wavelengths, Q switching and high consistent laser beam power allow us at Inkundū to treat all tattoo colors including difficult green and blue tattoo inks. Quanta’s Optibeam® provides an even spot distribution of the laser beam on the skin. 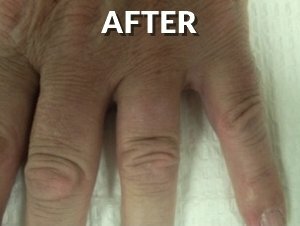 This increases treatment efficiency, reducing the number of treatment sessions while decreasing the pain of treatment and minimizing skin trauma. Before you go anywhere else, ask what laser will be used then call us for a comparison of their technology to that used at Inkundū. Many people think tattoo removal is not affordable but at Inkundū prices start as low as $49.00 per treatment and are based on tattoo size. Multi-treatment discounted packages are available and we also offer military and first responder discounts. 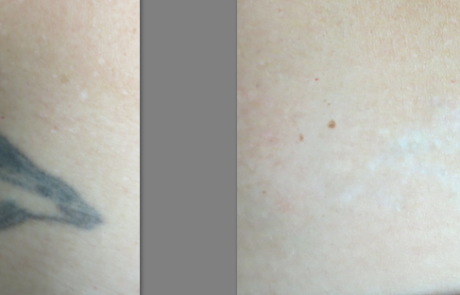 Laser tattoo removal is a gradual process requiring multiple treatment sessions every 4-6 weeks. Inkundū is owned and operated by board Certified Medical Doctors who are involved in every step of your care. Beware of other tattoo removal businesses that are owned and operated by people who are not medical doctors. Call for pricing or a free evaluation of estimated treatment costs and duration. Inkundū uses the most advanced laser technology available – the Quanta Q Plus C. This laser has 3 wavelengths specifically designed to target all tattoo colors. 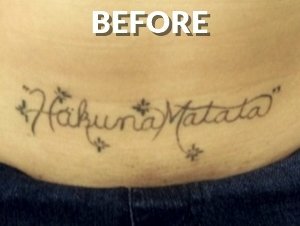 Everyone is different and while results may differ from patient to patient, we can remove most tattoos in their entirety. Check out some of our before and afters by clicking below. 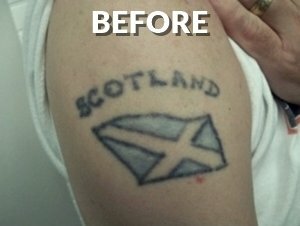 In laser tattoo removal it’s critical to get the facts straight. Check out our Frequently Asked Questions section and if you don’t find your answer there, call us we’ll get you the answer. Struggling to choose the right clinic to have your tattoo removed? Don’t let yourself become one of the millions of Americans, who regret their tattoo decision from years ago, wants to remove it, but never takes the first step in getting more information and learning about the tattoo removal process. It’s overwhelming how many options there in the marketing and knowing what’s safe and what’s not is a tough decision. So, don’t beat yourself up about having not taken action yet. If you are having second thoughts in visiting a nearby tattoo removal clinic, then don’t let a lack of information or fear of the unknown hold you back. If this is you, start to learn more about how to choose the best tattoo removal clinic that will surely help you in forgetting some memories by removing your tattoo completely without the pain or discomfort. 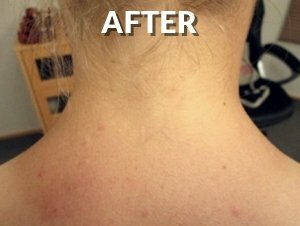 Yes, hundreds and thousands of laser clinics, medical spas, and tattoo parlors can claim to be able to remove your tattoo with no pain and discomfort whatsoever. Or, even better, they can claim to have a special cream that you’ve just got to rub on your skin to remove the tattoo. Here’s the reality. 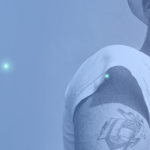 Tattoos are no longer considered permanent, and you have options for removal. Technologies in the laser field have advanced significantly, and you are now able to do something about it. Here are a few tips to help you make the best decision when picking the right place to remove that tattoo that’s no longer important in your life. Go to a facility with specific training certificates. The first thing that you need to check are the documents showing that the staff underwent specialized laser tattoo removal training. Tattoo removal with the use of a laser is different training from aesthetic laser procedures commonly performed at medical spas. 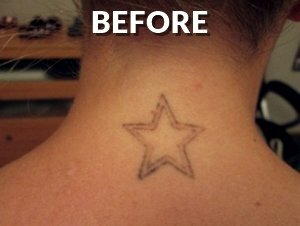 Choosing a laser tattoo removal that is run by professionals are the best because you will be sure that you will be taken care. True professionals are very direct and up front with the credentials they hold. 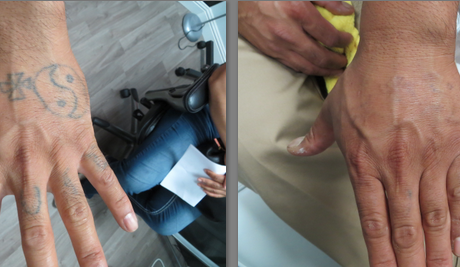 Moreover, most laser tattoo removal certs require actual hands-on portions of training and their staff to complete a certain amount of hours before they’re officially certified to remove tattoos. It’s common sense. You don’t want to be the first patient they learn how to run their new laser on. Our team at Inkundū are certified and trained to remove tattoos in Lexington and the state of Kentucky. Additionally, as Board Certified Anesthesiologists, our directors and owners, Dr. Kramer and Carter hold your well-being in the highest regards. • Working with an MD or Dermatologist? Then, don’t forget to check their own licenses and reviews online. Apart from certificates of training, one should observe the license of the medical practitioner and make sure that you are at the right place. Furthermore, the facility should be registered as well as the laser tools and equipment to guarantee safe and efficiency. Most of the tattoo removal clinics that are registered are available online for the people to verify it. If you’d like to check out a doctor’s reviews, then check out a site like https://www.healthgrades.com/ to see what’s been said about the practitioner. • The initial consultation should be scheduled, and there should be no fee for that. 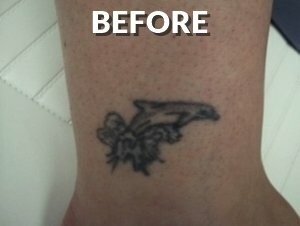 Most of the laser tattoo removal provides free consultations before moving forward for the treatment. In the initial consultation, you will be provided details such as the number of sessions, guidelines, and expectations during and after the procedure itself. Once you decide that tattoo removal is right for you, you should be provided a detailed plan of action for the upcoming procedure and what you should and should not do. Additionally, the initial consultation is the perfect time to discuss price and payment options with your technician or laser professional. Lastly, think ahead to the events you have coming up in your life. Since there are special requirements during the process in regards to sun exposure, it may be a smart move to wait till after your next summer vacation. At Inkundū, we love initial consultations and you can contact us for yours here. We see it as a great opportunity to teach and clearly map out the process and the potential for transformation. • Don’t skip understanding the types of laser equipment and, or tattoo removal tools to be used in the process. 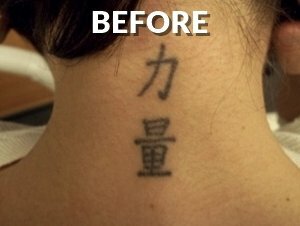 You should be aware of what’s going on and what’s going to happen in the process for removing your tattoo with a laser, like a Q-switched laser. 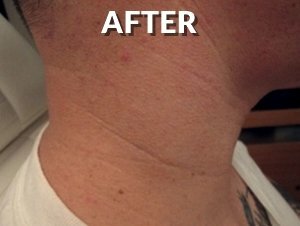 You can read testimonials and reviews online as well where people share the exact laser they used and how it went. You can find out as well about the different technologies and experiences. Realself.com is a great place to start. Take some time and grab your free account and read what technologies other people are using and how it worked for them. It’s a great place to start and learn about the process. • Check out the price, negotiate the price, ask for any discounts, but remember that it’s far more important to have quality treatments than to receive cheap dangerous and non-effective treatments. As a client, you have the right to know the fair and reasonable price in exchange for the treatments. A lot of patients think tattoo removal is expensive, but it’s important to understand that a more expensive clinic, may achieve better results with fewer treatments, so they’re less expensive as a whole. Also, remember to keep your safety in mind. Most clinics run specials if you purchase your treatments as a package. And, if you need it, you may be able to apply for financing at some clinics. In the Lexington Kentucky area, you can call around and research prices and then explore the credentials and what they’re offering. • Ask friends and family especially if you know they went through the process. They’ll tell you all the details and how everything went. Most of the time, people will recommend you the clinics where they went, but sometimes they’ll warn you and stop you from making the same mistakes they did. Don’t know anybody? Then, check out Realself.comagain and search by clinic you are considering. • Check out our before and after testimonials and pictures. For first timers, you have to be very keen and savvy to identify the best clinic in town. After checking out their website and seeing the pictures posted there, ask to see more photos when you arrive for that consultation. 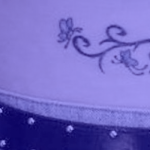 Identify some photos that show similar tattoos to what you have with similar colors. It will help overall with knowing for sure that the clinic you’re considering can deliver the results. 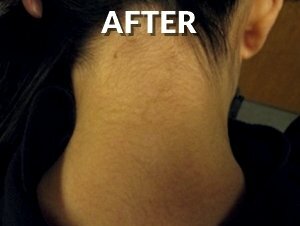 The link above shows our before and afters. Overall, we hope this helps with your decision for seeking removal of that no longer relevant and wanted tattoo. Let us know how we can help you.